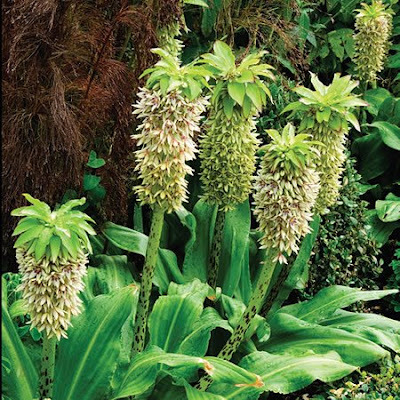 Even though Eucomis species are a relative newcomer to the English garden, their tropical looks and excellent winter hardiness have already made them a sure-fire hit. Originating from the ‘summer rainfall’ regions of South Africa, the native habitat of this plant is surprisingly varied. Comprising of a mixture of grassland, woodland and even the odd mountainside, what more proof do you need of this plant's ability to adapt to the garden environment. It isn't just its exotic looks and easy-to-grow characteristics that has made this species poplar amongst passionate gardeners, they are also very simple to propagate – especially from seed. If you are collecting Eucomis seed yourself then allow the seed pods to fully dry out on plants first before collecting. Then, choosing a dry sunny day; remove the pods, but these will need to be broken into before you can retrieve the seeds. One they are in possession, the seeds can then be placed in a labelled envelope, and stored in a cool, dry place over the winter. 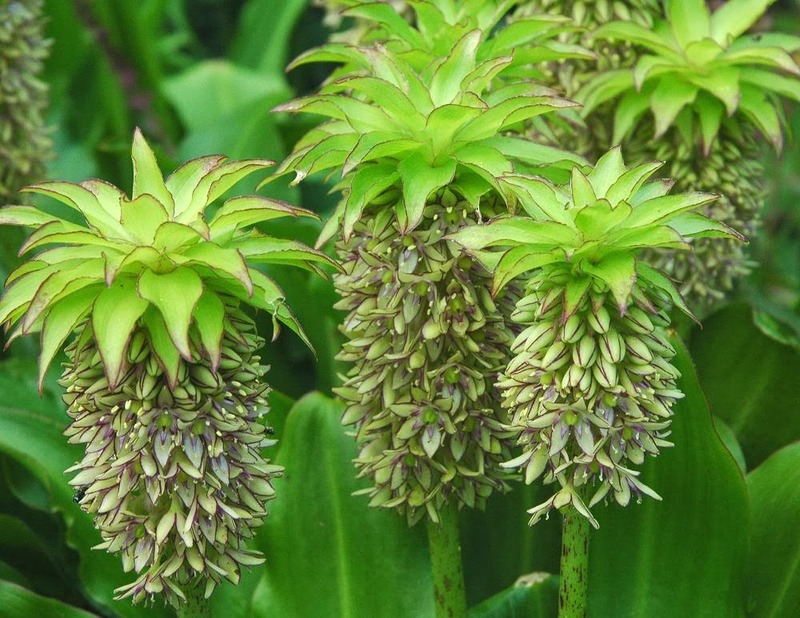 The best time to sow Eucomis seeds is in the spring, but you will also get a good take in the autumn. After you have prepared a compost mix of 3 parts John Innes seed ‘compost’ to 1 part perlite, use it to fill 4 inch deep pots or plug trays - the depth here is important for root and bulblet development. Gently dampen the surface of the soil with water, then sow the seed thinly on the surface. If you are using plug trays then sow no more than 2 seeds per plug with a view to removing the weaker seedling once they have germinated. Eucomis seeds also require light to germinate so give them a thin covering of perlite just to help keep the moisture in. Place you plug-tray (or pots) in a propagator or cover with clear plastic, then place them in a bright room at a temperature of around 15 -20° Celsius ie, normal room temperature. Keep the surface of the compost moist, but not waterlogged and the seeds should then germinate within 4-6 weeks. At the first sign of germination remove any covers to prevent fungal infections. When they are large enough to handle, the seedlings can be individually transplanted into 3 inch pots using the same compost mix as described above. As soon as the threat of frosts is over they can be taken outside (under the sheltered protection of a cold frame) to be gradually acclimated to outdoor conditions. This should take no more than 2-3 weeks, after which they can be planted into their permanent position. For best results, plant the seedlings into a rich, well-drained soil in full sun. However if you area experience cold wet winter they may need some sort of cover to help keep the root environment dry. In cooler climates the seedlings may need additional protection for the first couple of years and so it’s worth planting them while still keeping them in their pots. That way, they can be easily lifted and brought under protection. If this is the case, then they will be strong enough to plant permanently in the garden in their third year, but again, if you area experience cold wet winter they may need some sort of cover to help keep the root environment dry. Like most bulb, from the time of germination they will then take any time from 3-5 years before they are mature enough to bloom.